Tom Walker, who lives in my hometown, is one of the top player development coaches in the country. 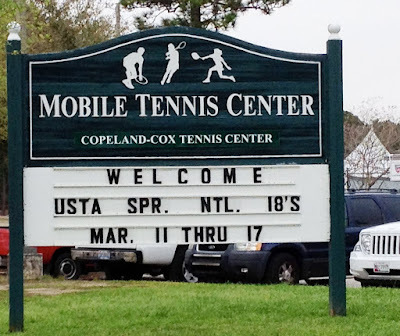 He is here in Mobile, and as a result of many conversations with players, parents and other coaches, has written this position paper on the USTA Junior Competition Committee's proposals, up for vote on Monday, March 19. I am publishing it below, in its entirety. 3. Mandated that players are only selected for Nationals through their sectional quota or by one of the USTA's 16 WildCards? 4. Mandated that players must play regional events in their region? Hey listen up Midwest and Pacific Northwest you're in the same region. How is that going to work? That commute for the 8:00 a.m. match will be a tough one. Meanwhile, here in in Mobile Alabama, the boys and girls National 18s Spring Championships are under way. College coaches are busy scouting and observing their future charges. This event attracts outstanding young people from every section. Slowly the word is spreading that this and other National events are now on the chopping block. The overwhelming questions are why and what can we do to prevent this from occurring? College coaches are equally perplexed. They fail to understand how the elimination of these events helps anyone except foreign competition for collegiate tennis spots. Why were players, parents and coaches not consulted? 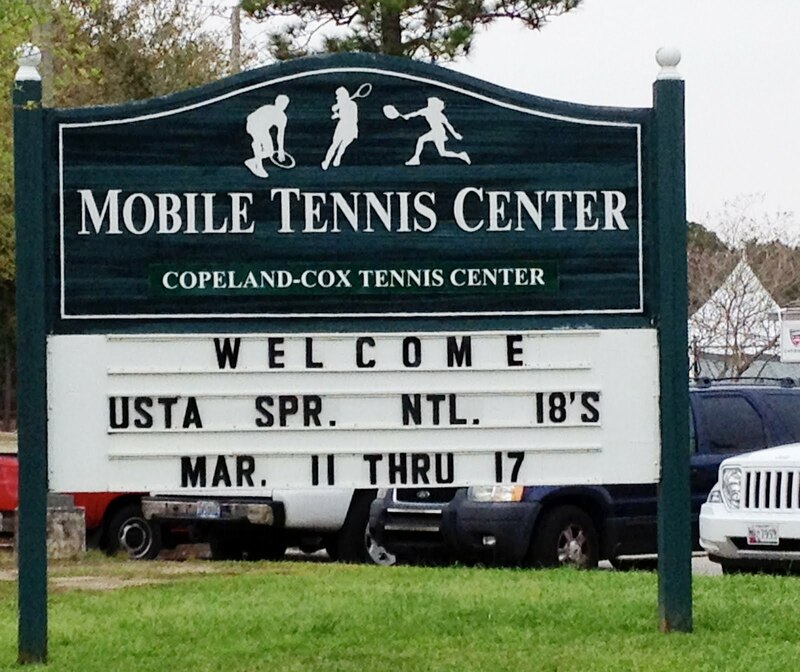 Is it coincidental that no USTA coach or representative is here in Mobile? Time is ticking away to save these tournaments and a system that allows multiple avenues of acceptance into National events. Unless a majority of sections vote on Saturday to reject the Junior Competition Committee action, the policies will be adopted. Yet there is still a glimmer of hope. This is buoyed by several Sections that are now on record as prepared to reject these proposals. There is still time for each of us to act. Contact your sectional presidents. Tell them to vote no. Further question them as to why no public forum on these issues was ever offered. 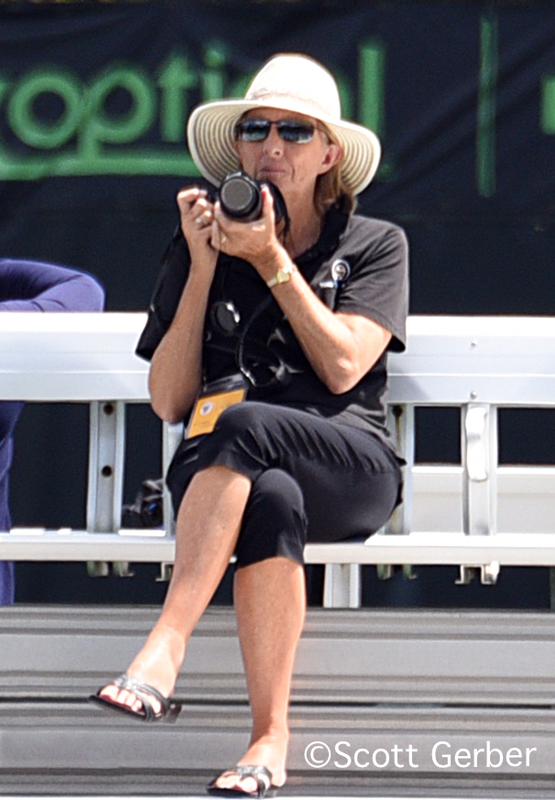 The changes being voted are dangerous and destructive to junior tennis within the USA. The idea of reducing costs and making the system more affordable is a noble cause. However the premise of hacking off events and players as a remedy is based upon ill-conceived assumptions. Why should we cast at developmental levels with smaller nets? This philosophy will seriously undermine our game's status. USTA tennis has had a track record of radical action with each outgoing president. Gentle tweaking is what is required instead of wholesale amputation of the National schedule. The sections must Stop! and Think! Before acting, produce a study that has been initiated showing the impact on first year player and the opportunities afforded by larger draws. Are their proposals simply based on a personal assumption that smaller draws are more concentrated and thereby more efficient? Players that excelled in the hand-picked Orange Bowl fell to unseeded players in the Winter Nationals. Why limit these kinds of playing opportunities? Please take the time to fully evaluate and measure the impact of radical change. Reduction of the draw sizes is short-sighted and fraught with peril. Grow the game, don't shrink it. Reaching these tournaments is a measurable and motivating accomplishment for many young players across our country. The current system provides an obtainable goal for those with drive and passion. It provides a platform for future college players and their recruitment. The argument that initial matches are uncompetitive is a half-truth. Reduction in draw sizes will not fix these issues as quotas automatically put weaker players in the draws. Pure quotas do not protect an individual player's effort from any section. A safety net based on national performance must be in place. Giving any panel 16 wild cards is wrong. The saving of a day is never worth the loss of participation that occurs with larger fields in these key events. It will eliminate personal effort for geographic location. When have you heard for any major sports team ask to cut the number of teams in the playoffs? Or reducing the major slams…? Let’s shrink Wimbledon also to 64 or 32. Parents don’t mind this expense. It is the costly ramp up that’s a problem. 5. Puts more players at risk of shaky sections and singular section results. Sections must be held accountable to study the effects proposed changes could bring before rushing into action. Reduction is not a positive move in our major events. This plan does not concentrate the process. Rather, it excludes players that may become significant collegiate players and perhaps professionals. You may be limiting a future champion by reducing numbers at the youngest levels. We must not proceed under misguided assumptions. The failing of world class USTA players is not the overall junior system. It should not be allowed to be the scapegoat. The reality is that many benefit from the collegiate system which is fed by the current junior structure. To develop top players training and support is required. This can be accomplished by adding new specialized events. To reduce costs, regionalization can also be implemented. However a player's skill should ultimately be the deciding factor in their selection of National championships. The geographic location where they reside should not be held against anyone. We must maintain measures that account for these aberrations and will not fail the individual’s effort. I suspect that closer evaluation would lead to surprising data of players that would have been excluded in years past. Please slow down and defeat this proposal. After decades involved in junior tennis, I remain perplexed of how out of touch this proposal is. It is now up to the Sectional leaders to save our juniors from a national committee that has run amok. Players, coaches and parents should contact their sectional offices quickly to have their voices heard before it is too late. Thank you for publishing Tom Walker's call to action. Folks, please stand up and be counted. Gotta love the USTA . They just reduced the draw sizes to 32, and now they are getting rid of two of the national tournaments. How the heck do the college coaches ever get to see the juniors play if there are no tournaments for the kids to get into. The college coaches will just end up taking more foreign kids. Kiss college tennis good bye for our kids with these new changes. You are a class act for showing both sides. This is just another nail in the coffin for American tennis. The problem with a predatory, monopoly is that they have no accountability to anyone. Add that in with a not for profit where the executives get paid millions of dollars to produce a world class athlete and you begin to understand why they have to get rid of the other competition that could hurt their PD players. THUS THE REASONING FOR THE REDUCED DRAWS AND THE INCREASE IN WILD CARDS. Add to the argument: players who are sidelined for more than a few months due to injury, illness, family death, emergencies, etc, will lose so much ground they will likely not recover their rankings. Players and parents will feel compelled (even more than they already do) to push through injuries just to maintain rankings, jeopardizing the players' health and long-term best interests. These new changes are awful. What's next. Take away the kids' racquets? Looks like I am in the minority but I like these changes. We all know players' parents who have learned to game the system with money. They would fly to the least competitive level 3 national to gather points. They would fly to the weakest draw in the national opens rather than drive to their regional national open. They are not ranked in the top 30 in their section but somehow they manage to gain entry to every supernational only to lose 6-1,6-0 in first rounds. (Yes, these are the players and 1st rounds the USTA are trying to eliminate from supernationals which adds additional costs for every player in the draw). They hire the best coaches and travel everywhere to game the system. They end up on the bench in college but playing nationals helped them get in over the hump. Then there is the player that is legitimate a 25-40 national ranked player. However that is not good enough for his affluent parents. They game the system the same way. Although he cannot beat 4-5 players in his own section, he is the top ranked national player from his section. He never has to compete in his section, he loses his first round feigning injury defaulting 0-15 in the minimum sectional required tourneys so he can get his sectional endorsement. He also gets into an Ivy , or Duke because he gamed his national ranking to top 12 although he has only reached the round of 32 of any supernatioanal ever. He sits on the bench but his parents are happy becuase they have gamed the sytem so he could get into a top academic school. We al;l know these people in junior tennis! Forcing players to compete in their own section and region will lower the cost of tennis for everyone which I believe should be a mandate for USTA junior tennis. Cream will always rise to the top, it is the obfuscating of a gamed ranking system that makes recruiting more complex and time consuming. This rew rule will take a lot of the money gamesmanship out of junior tennis for the good. It will only hurt those are not good enough to compete locally. You can be top 30 nationally with only playing sectional and regional national opens which will qualify you for every supernational, (ask me how I know). As far as college coaches and recruiting, most only come starting the round of 32, they could are less about the first 2 rounds. No one comes for the round of 192, which I believe is a worthless round in Supernationals and burdens everyone who is not seeded with additional costs. As far as eliminating 2 supernationals, you already have the Easter Bowl, why would you need the Spring Nationals for college recruiting? Do college coaches need to go to the NIT Tourney when they already go to the NCAA basketball tourney? The Winter Supernational should be replaced with an Indoor National as many colleges play indoors and many matches in AZ are played in 40 degree temperatures which is less about tennis than it is about enduring the elements. USTA, bring forth these bold changes and good will come out of it. For tennis teaching pros, I can see why it makes the junior landscape less appealing as it will contract hopes and dreams for marginal players. Many coaches hang their hats on developing players for nationals (even if they lose every 1st round). However it will absolutely lower the cost of competing and attaininhg a national ranking for those players who are talented but less affluent. In this respect, it may well broaden the sport as parents come to realize than their kids will get a fair shake at prominence without spending ridiculous amounts of money. I applaud these changes, I only wished they had these rules in effect when my kids were competing in juniors. Interesting take on the issue; you are the first person I know who is for the changes. I would like to point out that the Easter Bowl is almost always played during the NCAA Signing Dead Period, so college coaches can't recruit there. There were many of them here, and the ones I talked to do feel eliminating this tournament will make their recruiting more difficult. It's interesting to see how much energy is wasted on the handful of kids who are wealthy enough to game the system. Who cares? In the end, they will not do well unless they can play. So we reduce draw size to cut back a few kids who aren't worthy at the expense of the many who are? If this is all about who is worthy, why has is little said about the real elephant in the room, the quotas being assigned to each region? If it's all about the best playing the best, why factor in quantity of USTA players in a region into the equation at all? If SoCal has 30% of the best players, that's what its quota should be (personally, I'd prefer no quotas). Other regions should not have inflated numbers just because they have more players. Also, while rich kids may be able to travel, kids who are "rich" by living in weaker sections will be able to accrue tons of points playing their section's weak opponents, while kids in tough sections will have a rough time getting the national ranking they deserve (and that will allow them to get into the tournaments where they will get the varied competition they need to fully develop their talent). That's always been true, but this proposal makes it worse. The unstated reason for this proposal is the belief that it will help return the US to international dominance. An important objective, but if the theory doesn't pan out in practice, lots of kids will get hurt in the process. I'm not one of those who sees conspiracy theories everywhere. I think the USTA has good intentions. But we all know the saying about how the path to hell is paved. Inclusion should be the USTA's objective, not exclusion, and, unfortunately, that's what this will lead to. Finally, why not include parents in the process before making such radical changes? People would be far less upset and we likely would have ended up with a better plan. DOES ANYONE REMEMBER BACK WHEN THE USTA ELIMINATED THE 12'S FOR NATIONAL PLAY??? Does anyone out there remember when the USTA thought it would be best for the 12's not to participate in national tournaments? Does anyone remember how much it hurt that age group? Well, we are about to see it again on a wide scale basis with the reduction of national tournaments in all age groups. Bye -bye Winter Nationals. Bye-bye Easter Bowl. College coaches go to tournaments to look at players, not rankings. They may arrive for later rounds to see those who have advanced by on-court performance, not those who have accumulated points. Smaller draws will actually make the round of 32 less attractive to coaches because many deserving players will have been filtered out by the ranking system, rather than by on-court play. The USTA ranking system is actually the USTA entry selection system. According to Mitchell Alpert, USTA ranking chairman, USTA rankings using points per round create ordered lists that are reliable (can be duplicated) but are not predictive (don't indicate who will win in a head to head match between ranked players). Since the rankings don't reflect players' on-court abilities, it is imperative that the opportunities to compete at the national level be expanded, not contracted. Prior to 2011 National Level 3 (Regional) events were sprinkled throughout the year. In 2011 the USTA compressed the Level 3 events into 4 weekends and reduced the draw size of Level 2 events from 64 to 32. These changes led to a desperation to play every event possible. No longer could players manage their national play around their personal schedules. Players felt compelled to play every event possible, because there were no longer opportunities for National play (Level 3) throughout the year. 1. If players avoiding sectional play in favor of National play is a problem, the solution is very simple.... Require Sectional endorsement for all players to National Championships, as was the case prior to the Optimum Schedule being implemented. That would give each section the freedom to decide the appropriate amount of sectional play that is best for their players. Since each section is unique, the section can best determine how much or how little sectional play will benefit their players. 2. National Open draw sizes were reduced to 32 and the tournament shortened 3 days in 2011, allegedly to avoid missing school. However, a 64-draw could have been played in 3 days, as well. In the 5-day 64-draw format 2 rounds (more than half of the total number of matches) were always played on the first day, so there would be no problem playing the final 4 rounds on the next two days. The quarterfinal losers wouldn't feed into the consolations, but that is a small concession, compared to reducing the opportunities for everyone by 50%. The 3-day format has made the National Opens more popular, so reducing the draw sizes just to have smaller draws is illogical. Some in positions of prominence are convinced that "smaller is better". This is tragically short-sighted. It took years to correct the mistake of eliminating National play for 12 and under players. The draw reductions to 64 for 12's National Championships and the failure to have any events for this age group other than the National Clay Courts and The Nationals seem to contradict the emphasis on younger age tennis in America. If having too much opportunity for National play is driving players away from tennis, then it is up to the USTA to support those who are financially challenged by the system, not contract the National environment so that those who choose to avail themselves of the opportunity to compete and develop in a national setting are not allowed to do so. I'm sorry, but Smaller is not Better. When you make draws smaller and limit where players can play you are not "growing the game" you are stiffling it. In the meantime the United States Golf Association (USGA) is adding more qualifying tournaments for the Jr Amateur Championship. In the early 80s there were 16 qualifying sites of 96 players. Last year there were 61 qualifying sites of 96 players. The total number of entries trying to qualify for the Junior Amateur is up to 4,500. The reason they keep adding more, is because more people want to play and the USGA knows that if you are good enough you will make it and the rest won't. The difference is that the USGA isn't in the business of trying to build a champion by being arrogant enough to take 8 kids in each age group to a private course everyday and thinking that they know everything. They don't travel them all around the country burning up millions of dollars. Instead they build a model structure that grows the game despite a downfall in the economy. One thing that will kill tennis is when a player is out for 6 months in the current system because of an arm or ankle injury and then gives up because there is no chance of working their way back up, unless you are a friend of the program. Why would players who have 5 hours a day to train with the best coaches in the country and not have to worry about how much it costs, not be able to qualify for tournaments on their own accord? The reason for the wildcards is very transparent with the new proposals. Since the USTA PD players will not be participating in their sectional events, then there had to be a way to get them into the big events. In the meantime, turning their backs on the very system that the rest of the players are supposed to adhere to. 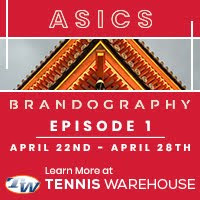 The truth is that Jay Berger and Patrick McEnroe are doing anything they can to make the USTA Player Development look like it is a success. Do I need to say any more when it comes to this? College tennis isn't exactly booming at the moment. Every couple of years you see another team getting dropped. Next year it is Maryland's Men's team. Who will be next?